The week started with our first day playing at our new site at Rocks Lane. The children were so excited to explore this new area. At camp, they made beautiful bird feeders using bird seeds and found objects. The children discussed which birds they thought would like to eat the seeds. Some suggested ducks, herons, blackbirds and robins and others thought that dinosaurs and dragons may be lured in to eat the tasty treats! The children also planted potatoes this week. They dug small holes in the vegetable patch with trowels and placed a potato in each one. This was immensely exciting for the children and sparked fantastic conversation about where our food comes from. For some the rest of the day was spent watering and tending to them! The new climbing tree has been described as “the best forest ever!!”. The different levels, tunnels and vines provided a challenge for everyone! The tree has also been the focus for some fantastic role-play as the children pretended to board trains and fly dragons through the air! 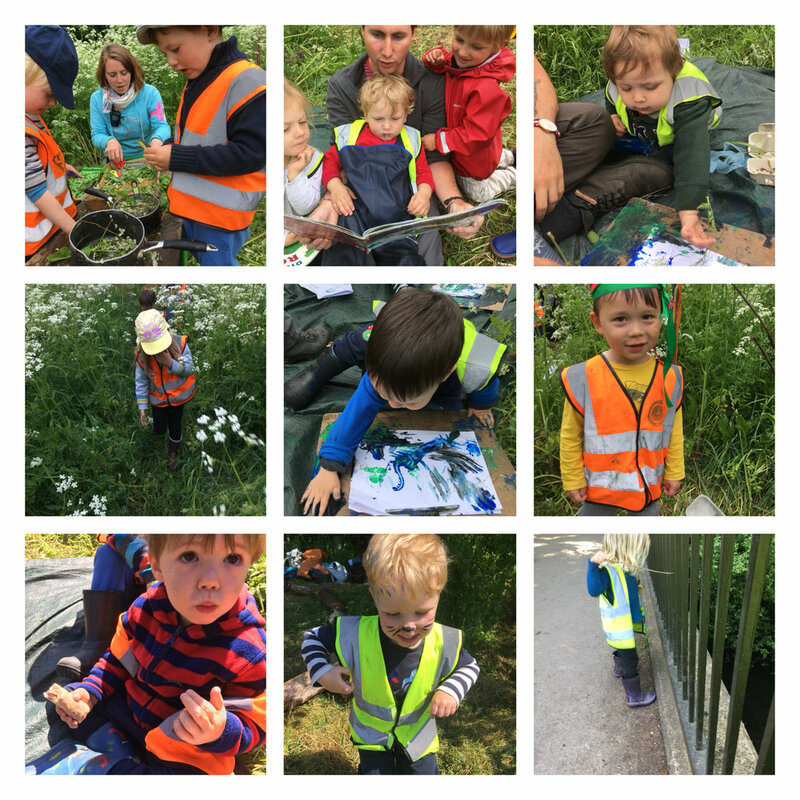 This week has also seen some wonderful explorations to the river where the children observed the currents and river plants that have started to grow there! After such a fantastic week, we can’t wait to see what will happen next week!